With years of experience in the mental health field, Jim brings to Adolescent Growth a level of warmth and authenticity that makes him the excellent licensed clinician that he is. His tremendous commitment to the well-being of our teens makes him an indispensable part of our Lombard team. Jim began his academic career as a student at the University of Michigan where he earned a Bachelor of Arts in Psychology. Upon completion of his undergraduate degree, Jim went on to earn his Master of Arts Degree in Social Work from the University of Louisville. Jim has years of experience helping teens and their families in a myriad of settings. He spent 6 years as the Director of Clinical Services where he served as part of an interdisciplinary team serving approximately 100 children in therapeutic foster care. His tasks included administration over a team of therapists while holding a caseload of clients as well. 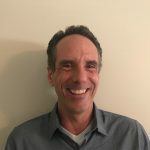 Jim also spent 8 years as a primary therapist providing intensive therapy in the community for clients at high risk for hospitalization and years as a Child and Adolescent Therapist in a large psychiatric hospital where he conducted groups, family therapy and individual therapy to address patient and family challenges. Jim thrives as a member of an interdisciplinary treatment team. As a primary therapist here at Adolescent Growth, Jim works one on one with our teens and with the entire family to support them emotionally and help them develop practical solutions to the difficult challenges they face. His steadfast commitment to the philosophies that form our mission and values is visible in all the work he does with our clients in Lombard, Illinois. Jim discloses that he enjoys working at Adolescent Growth because, “as a team we get to facilitate change that can create a new direction in a client’s life that can cause them to take a different healthier path with increased life satisfaction. These services can be a pivot point in a youth’s life that can literally make a positive outcome for the rest of their life”. Jim loves working with adolescents due in part to their energy and inquisitive nature. During his leisure time, Jim enjoys cooking/sharing meals with the family, playing board games with the kids, participating in Triathlons, also 5K, 10K, half and full marathons both trail and road versions. Group bike rides and gardening are also included in his outside of work milieu.